From left: Pr. Carol Kessler of Gustavus Adolphus, Manhattan; Pr. Samuel Silaban, HKBPNY, Manhattan; and Lily R. Wu, representing the Bishop’s Office. An ulos is a traditional garment of the Batak people from Indonesia, worn as a sash over other festive clothing for special occasions. This special ulos was raffled after an April benefit concert that the two congregations organized. Proceeds went to help survivors of the South Asian tsunami. Batak people from Indonesia had been congregating at Gustavus Adolphus Lutheran Church in Manhattan since the 1930s. English language worship is with Gustavus Adolphus in the morning, and a Batak worship service is held in the afternoon. Dedicated lay leaders such as Sintua (“See-TU-ah,” their title for congregational council leaders) Welly Napitupulu (“Nah-pi-tu-PU-lu”) and others worked hard to keep the ministry going when they didn’t have an ordained pastor to lead them. God and their faithfulness bolstered them after 9/11. Because they are from Indonesia, the world’s largest Muslim country, they were singled out by the U.S. government as suspected terrorists. Every male parishioner over age 16 in this Lutheran Christian congregation had to be registered. One of their members was detained for several months – “probably from not answering the questions correctly,” says Sintua Napitupulu – and was deported to Canada. It was a stressful time for all. With the help of the Metropolitan New York Synod, Pr. Samuel Silaban (“Si-LAH-bahn”) came to the United States to lead HKBP-New York on Sept. 12, 2004. He and his wife, Hesty Martha, their 6-year-old daughter, Maria, and infant son, Jeremia, are adjusting very well to their new life here. Now thankfully, the congregation can focus more on congregational growth again. “Running well inside our church will lead to more outreach later,” Pr. 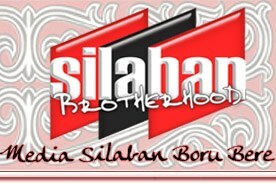 Silaban says. They are concentrating on choir, Bible study, and a confirmation class that studies Luther’s Catechism and HKBP Confessions in Indonesian and Batak. Their youth group organized itself in 2005 and meets once a month. The pastor also leads a special discussion time every two months on such topics as love, dating and sexuality. The word is out in the Indonesian community of New York that HKBPNY is a welcoming place, where God’s love is extended to all. A number of the young adults come alone, without family in the city or the church. This congregation becomes their church family where they can enjoy the warmth of community with people of all ages. 1. Is there a tangible symbol from your own ethnic tradition (Asian or not) that tells of God’s love? (If you’d like to tell others about it, send an e-mail to lwu@mnys.org. Include your name, ethnic heritage, church affiliation and location, a brief description of the symbol (or even a digital photo if you’d like), and especially what it means! 2. 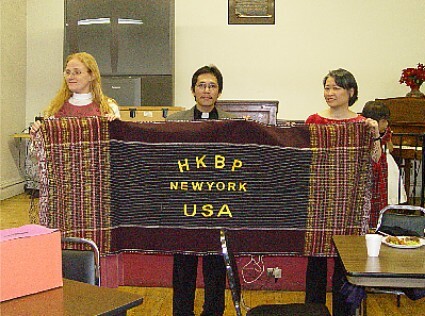 HKBPNY is an example of an Asian congregation in the Lutheran New York that is ministering amid immigration stresses. Are you interested in serving on or helping with a synod task force on immigration issues? If so, e-mail lwu@mnys.org who will pass your name along to appropriate colleagues.